Samantha and Shannon contacted me a few months ago. 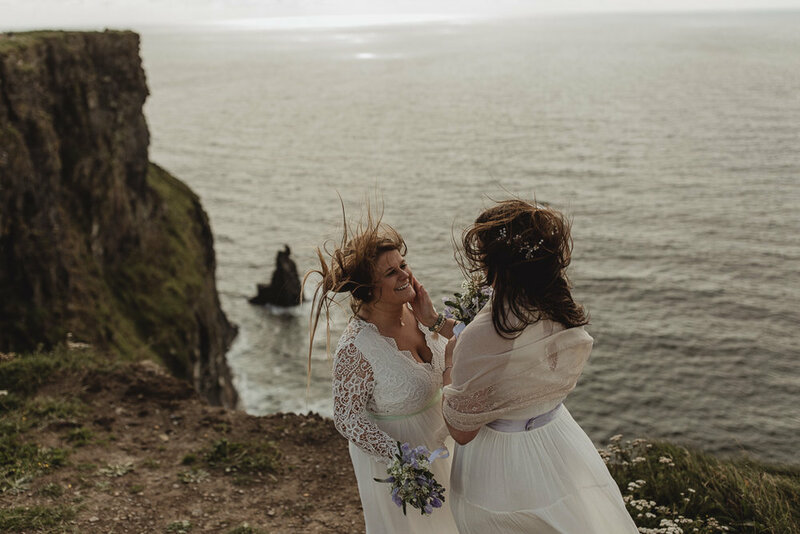 They were planning their elopement in Ireland and I was thrilled they chose me as their photographer! 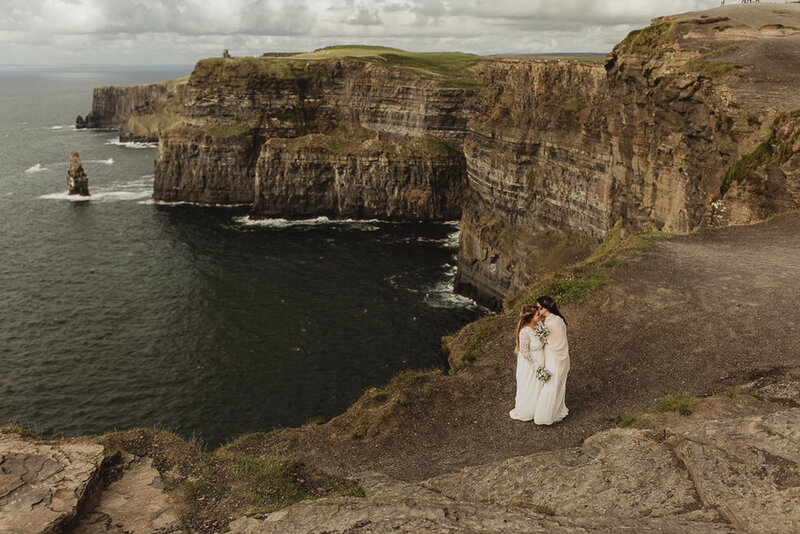 You don't get to shoot an intimate wedding on the Cliffs of Moher every day, right? They met over four years ago when they were both working at a restaurant at a local ski resort in the States. Samantha thought that Shannon was a small teenage boy and called her Buddy! They began to chat and realized they had an instant connection. They've basically been inseparable ever since. Samantha and Shannon got engaged twice! The first proposal happened in Oregon. They rented a car and drove up the coast of Oregon getting out randomly to explore the beautiful rocky cliffs that lined the coast. Finally, as the sun was beginning to set the girls got out of the car at Cannon Beach, which is known for its amazing views. Shannon cracked a joke about how this would be the perfect place to propose, not knowing at all that Samantha had been carrying the ring with her all day (for months actually) waiting for this exact moment. She laughed and said, “wouldn’t it?” and pulled out the ring and asked her to marry her. Shannon got her plan all set out as well. There’s a cute little town about 45 minutes from their home called Jim Thorpe. The girls go hiking and biking there quite often. There’s this gorgeous hike up cascading waterfalls which is their favourite hike. Samantha and Shannon went on a hike shortly after coming home from Oregon and as they reached the biggest fall, Shannon insisted that they sit down to “take a break.” Samantha kept trying to continue on because she is always constantly on the move, but Shannon walked her out to the middle of the fall and pulled out the ring. It was perfect because this was actually the spot of their first adventure together. I started to check the weather forecast a week before the big day and boy, it didn't look good! We had no plan B except for the umbrellas. 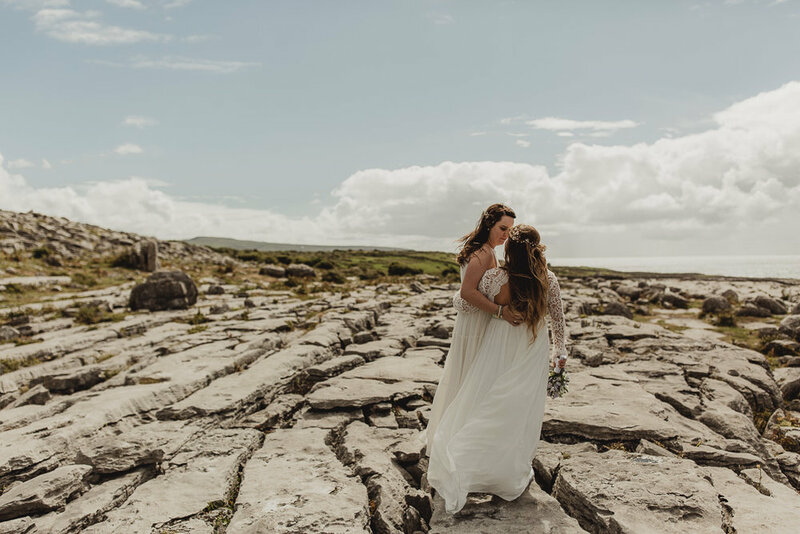 The day turned out to be beautiful so we hopped into my car and drove towards the Cliffs of Moher with a few stops in Kinvara, The Burren, Fanore Beach and little spots in between. 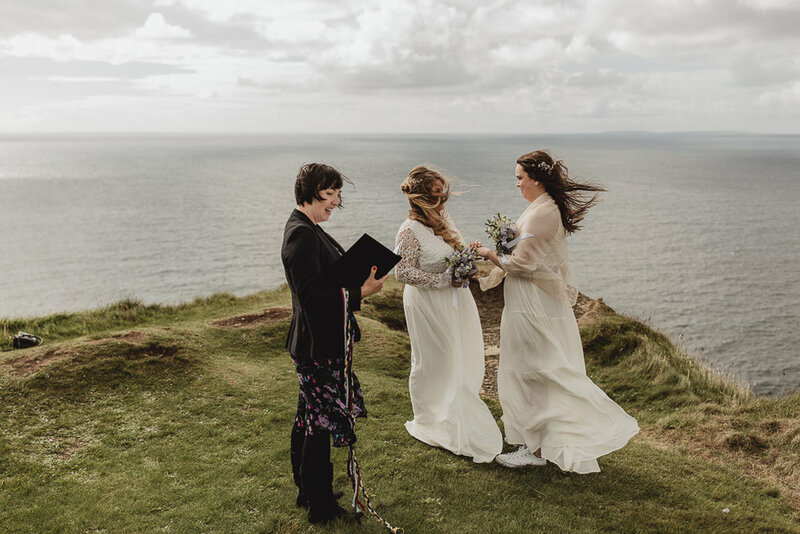 "The decision to elope wasn’t an easy one. 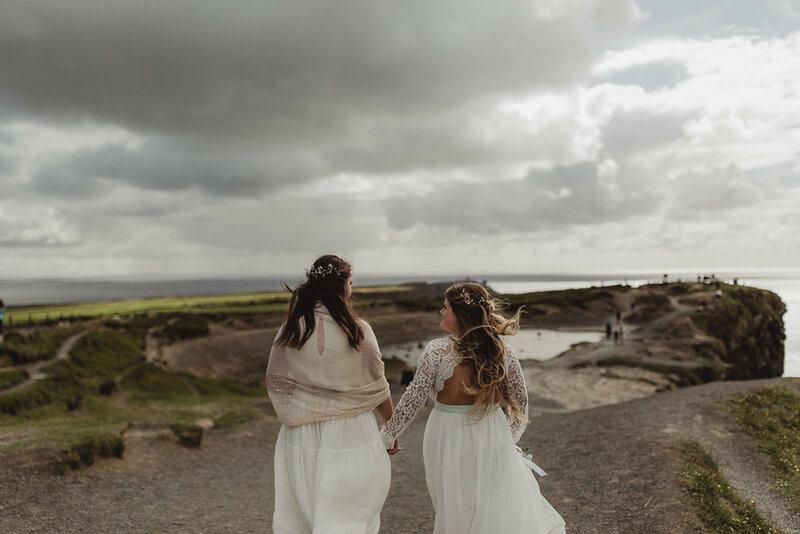 Originally we planned on a big traditional wedding, but it just wasn’t us. The idea of spending money we worked hard saving on one big glamorous day wasn’t a pleasant thought for us. Big traditional weddings are stressful and over in 24 hours after months and months of planning. Shannon and I wanted our marriage to be something a bit more special. We wanted to be able to be in the moment completely with each other doing something we love: travelling. 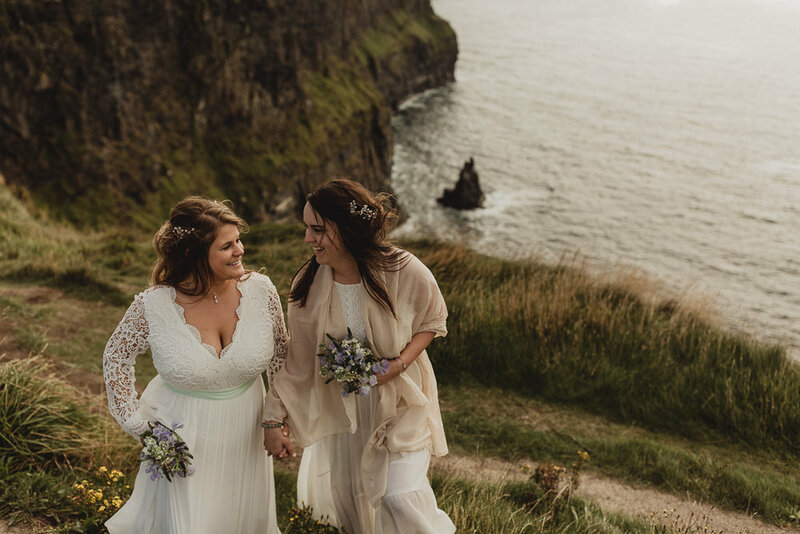 Shannon had always wanted to go to Ireland and it’s always been on Sam’s bucket list as well. 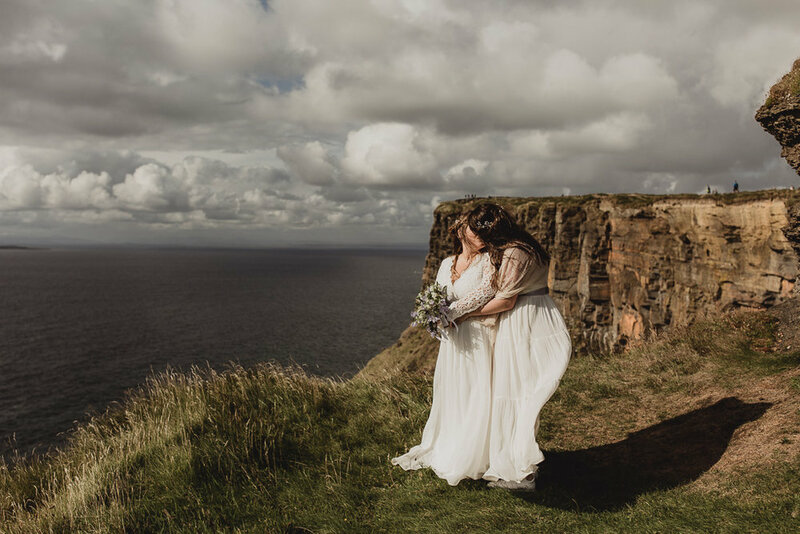 It was a new place for both of them and the Cliffs of Moher seemed to be a perfect backdrop for our special day. 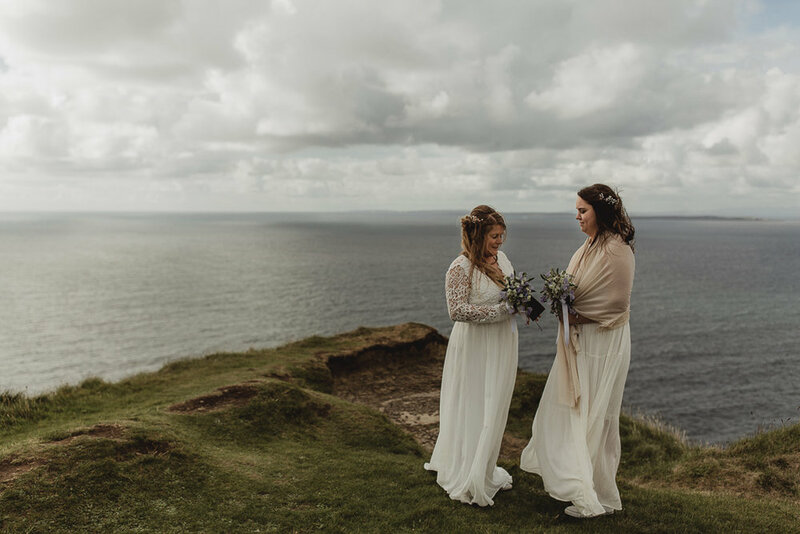 As soon as we made the final decision to forgo a big wedding and opt for an elopement to Ireland, our mood around wedding planning instantly got better. This was us. Adventure. Travel. Love. Just us." "We loved it. Honestly, it was perfect. 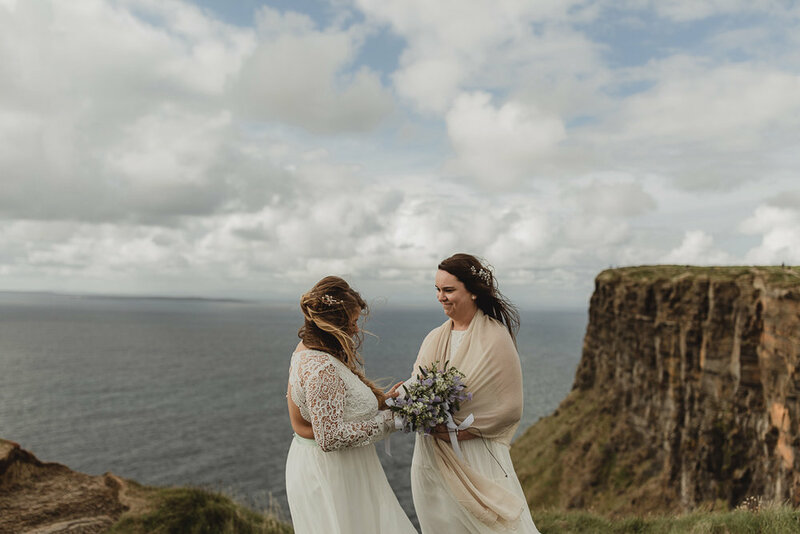 We got to spend the day driving through Ireland taking photos surrounded by some of the most beautiful places we’ve seen. 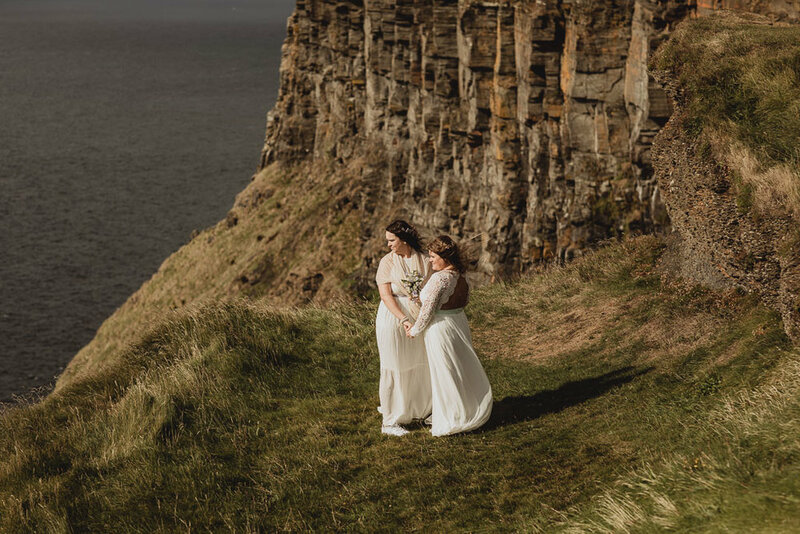 We hit some little bumps along the road (like Sam forgetting the rings in the car, or the crazy wind on the cliffs, or the blistered feet from the walking, or the cow who looked like she was going to stampede us) but for anyone who knows us closely, they’d know this was unavoidable. Even the tourists and locals played a huge part in making our day special. They clapped as they drove by or yelled congrats out the windows of their cars. We even met couples from New Jersey who followed and watched our ceremony! It was crazy to meet someone in a neighbouring state so far away from home. For me, it was an unforgettable day! 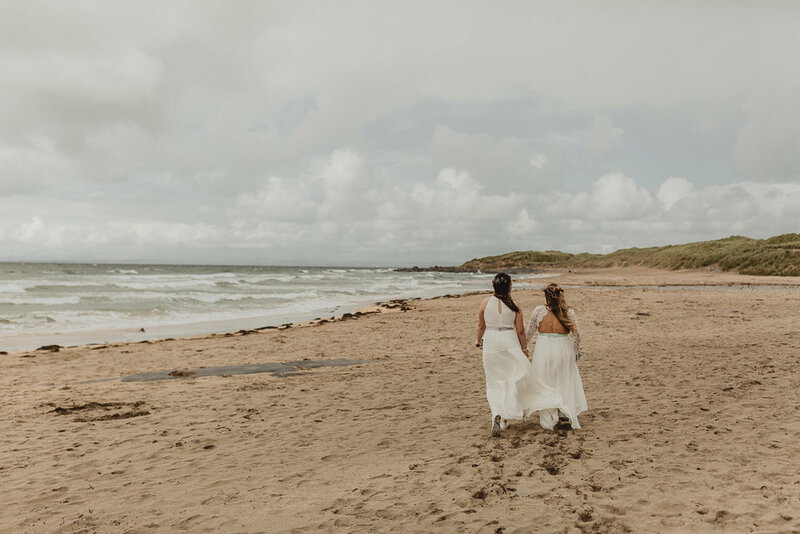 Seeing two people in love who travelled from the States to get married and they chose such a beautiful place for their ceremony. It was truly amazing. "For us, we had two major concerns. 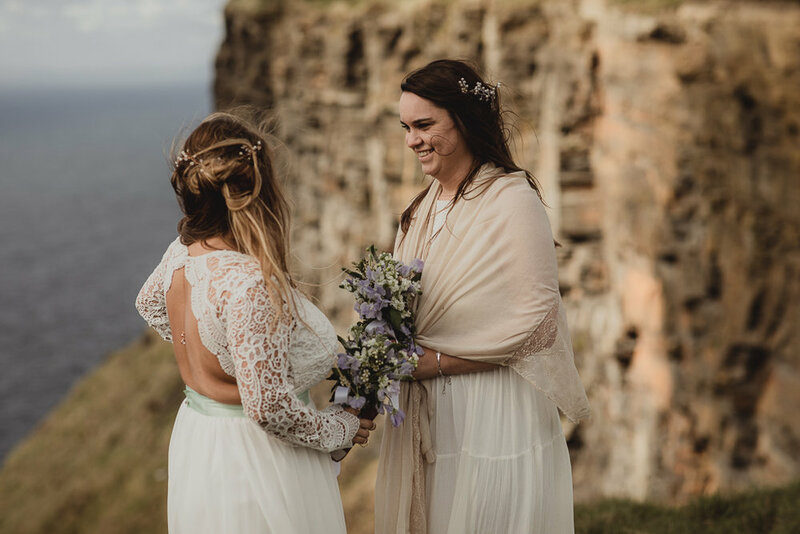 First and foremost we were concerned with finding a photographer that was LGBTQ friendly. 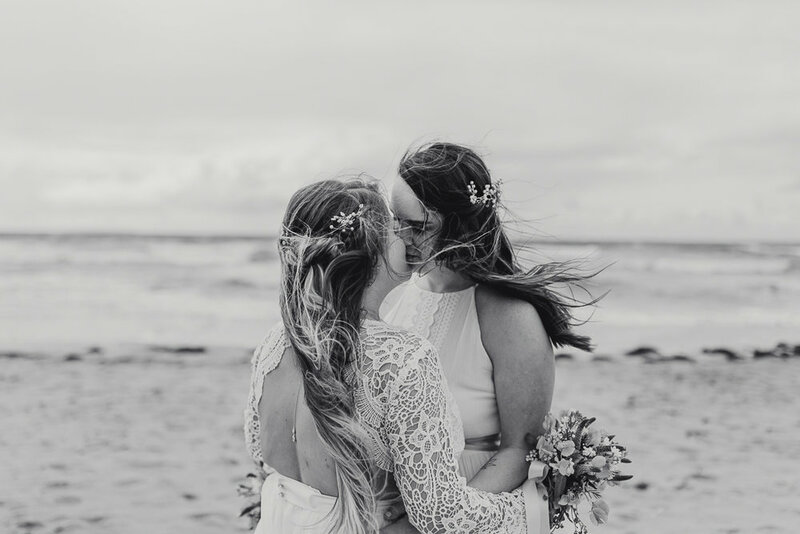 Eloping in a country where neither bride knows a single person is a bit nerve-wracking and knowing of some horror stories from our home state about gay and lesbian weddings made us a bit nervous about finding someone who accepted our marriage completely in every single aspect in a different country. 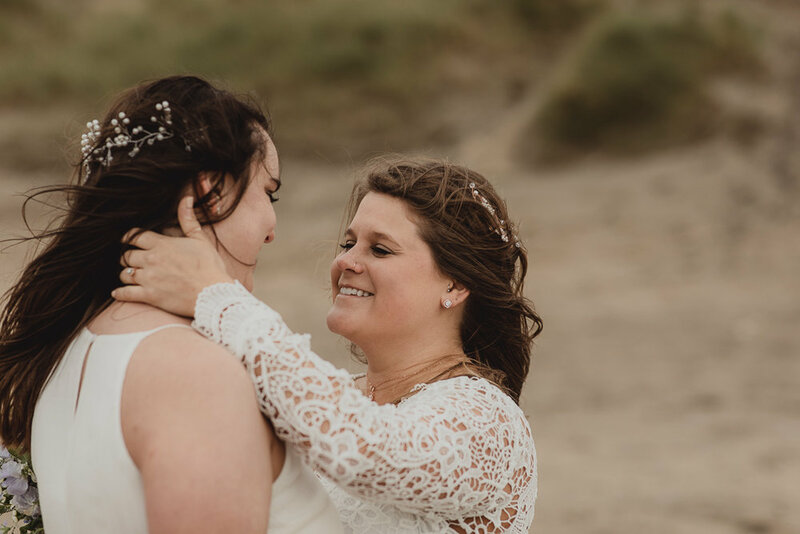 Joanna not only accepts that but is known for her amazing wedding photography for gay and lesbian weddings so it was basically a no-brainer to choose her for that concern so we felt comfortable sharing our love as two women committing themselves to each other for life. Our other biggest concern, which is more personal and could have played a huge role in how our photos came out, was the fact that we are both unbelievably awkward. We do not like being the centre of attention or having people consistently looking at us. 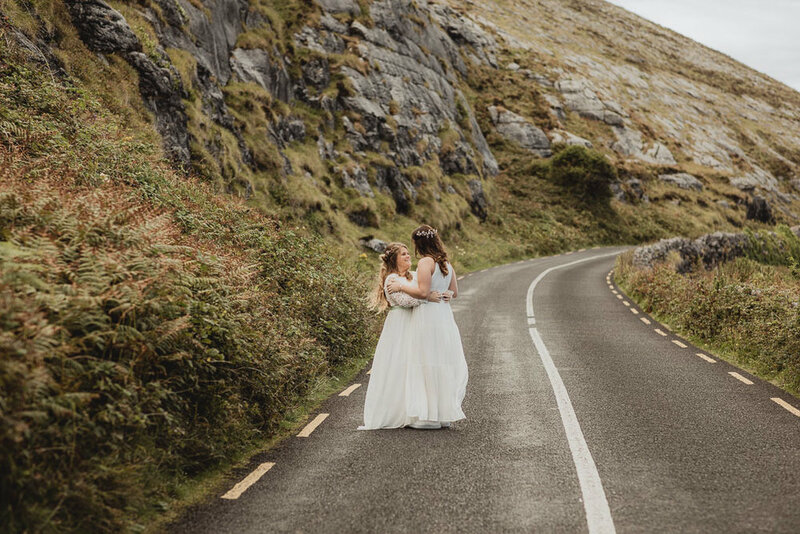 Obviously, eloping means being the centre of attention and having a photographer constantly looking at you. Joanna went above and beyond with making us comfortable and less awkward. 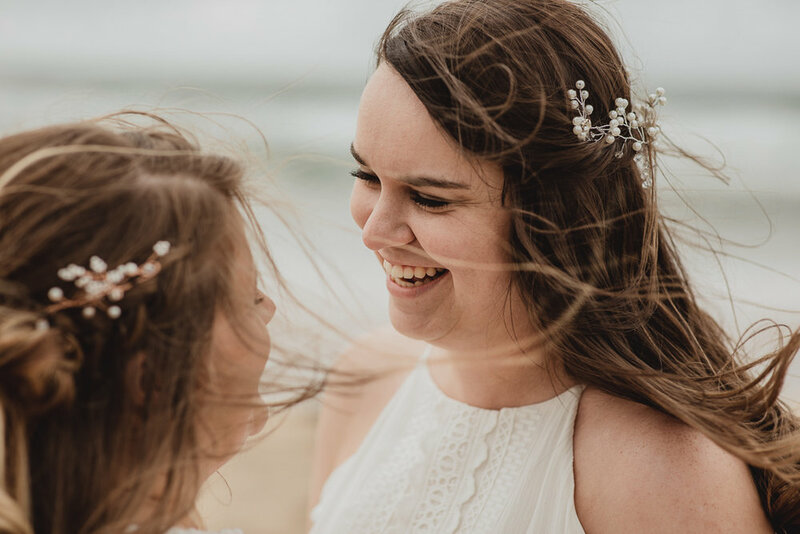 By the end of our elopement photo shoot, we felt like we were friends with Joanna and knew her for a while. That’s how amazing she was and so able and willing to get to know us. 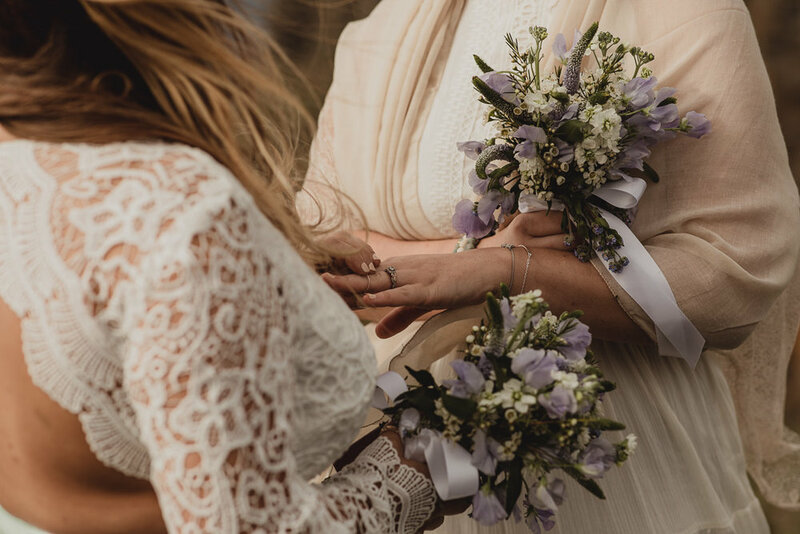 We definitely felt comfortable having her photograph us during such a special, love-filled moment in our lives. YOU WILL LOVE HER! Her photography is so beautiful and her personality is so down to earth and fun. She will make sure that you enjoy yourself and have a stress free day. She will make you feel comfortable and natural. The fact that she doesn’t pose you makes you feel even more comfortable because you are just being you and there’s nothing artificial or posed about your wedding photos. " 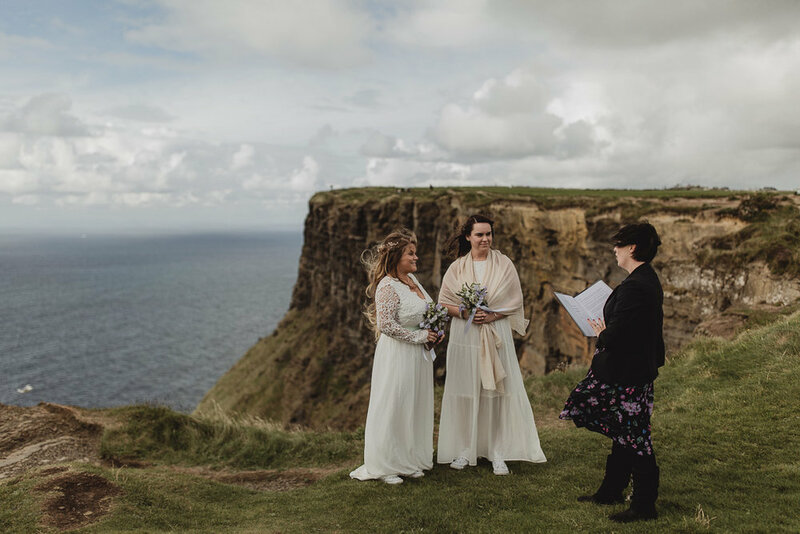 Let me know if you are thinking about getting married in Ireland.